A board hack is some kind of information radiator used by a team to address a specific problem, usually on or near the team’s agile board. These hacks come and go as the team needs them. 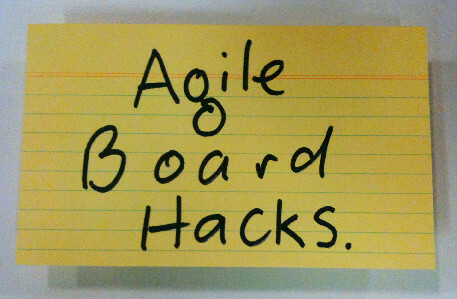 Send in your board hacks by emailing a photo and description to us at agileboardhacks. Let us know where the hack was first spotted in the wild, and give props to the team that made, or used it. We’re particularly interested in why the hack was put in place: what was the problem being addressed? Did it work?